Fein sie wieder zurückzuhaben (Tourende 2011). Nicht so stark wie die ersten 4 Alben, aber eine doch deutliche Steigerung zum letzten Album. Zum Teil klingen sie richtig jugendlich. 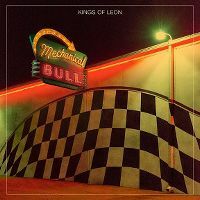 I've never listened to a Kings of Leon album the whole way through, but I've heard a few singles from their previous albums, particularly "Only By The Night". 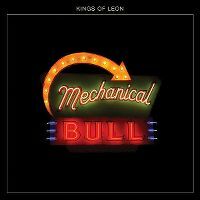 Listening the whole thing through, I must say that the first five songs are absolutely brilliant, and I was thinking that I was on the cusp of putting this as one of my best albums of the year, perhaps in the top 5, which would be a great feat in a year where I've rated albums generally highly. But, from the sixth track onward, it slows down a bit too much for my liking. The songs are still quite good, but doesn't finish off the excellent platform the opening tracks gave them. In saying that, none of the songs in the second half of the album were bad. No, not even close, just a bit of a let down. Due to that second half, it doesn't even land it my top 10 albums of the year so far, despite it's high rating. Had it sustained its opening the whole way through, this may have been my favourite album of the year. The highlights were "Don't Matter", "Rock City", "Temple" and "Supersoaker".